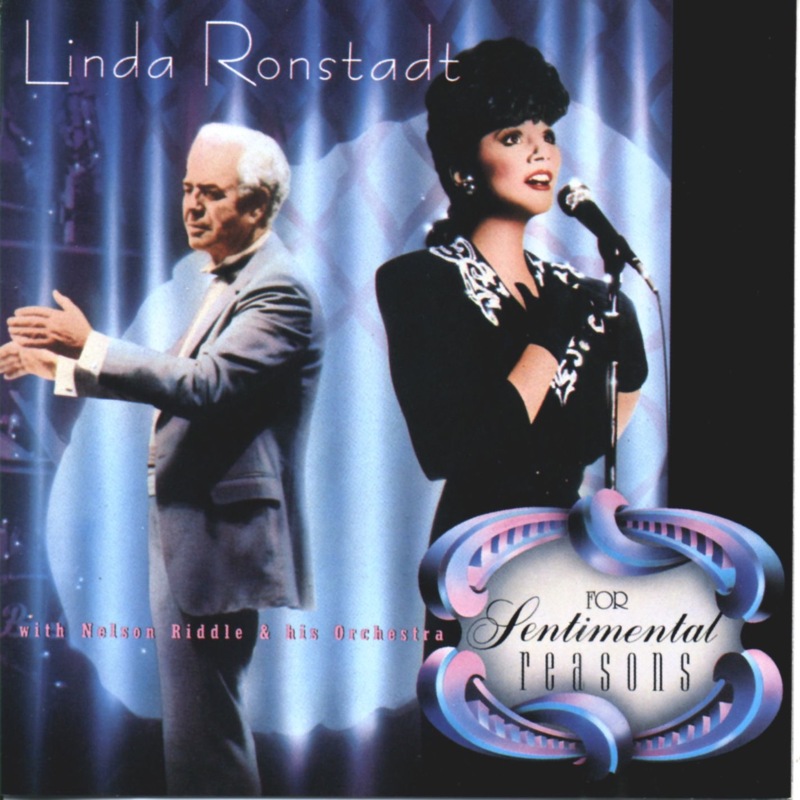 For Sentimental Reasons is a million-selling, Platinum-certified album by American singer/songwriter/producer Linda Ronstadt, released in late 1986. The album peaked at #46 on Billboard's main album chart - although it lasted over 6 months on the list of 200 albums - as well as #3 on the Top Jazz Albums chart. This was the final installment of Linda Rondstadt's successful American Songbook trilogy with arranger Nelson Riddle, who died soon after these sessions were completed. At this stage in the game Linda sounds far more confident as she ventures bold interpretations of a few Rodgers & Hart songs ("Bewitched," "My Funny Valentine," "Little Girl Blue") as well as the de rigeur Gershwin number ("But Not For Me"). Fans of the singer will be especially startled to hear her long, belting tones on "Valentine." She also tries the ultra-romantic "You Go To My Head" and Thelonius Monk's dark classic "'Round Midnight" on for size and finds they suit her just fine. When Ronstadt began this project, it could have been seen as yet another experiment in the restless singer's career--i.e. „The Pirates of Penzance“ or the much-maligned attempt at Mimi in a one-time performance of „La Bohème“. By the time she and Riddle had finished however, Rondstadt had transformed both herself and her loyal baby boomer listeners into something like musical adults.